New Jersey based Jumpin’ Jamie AKA Jamie Theurich has released his energetic debut family album Kookie, inspired by the pop punk music that shaped his own childhood. #HipNJ has the scoop on this artist on the rise! Up until recently Jumpin’ Jamie has been best known as the Dinosaur Troubadour at New Jersey’s Field Station: Dinosaurs, but with the release of Kookie the pop rocker dives head first into the kindie scene with this bold, confident, and undeniably fun collection. 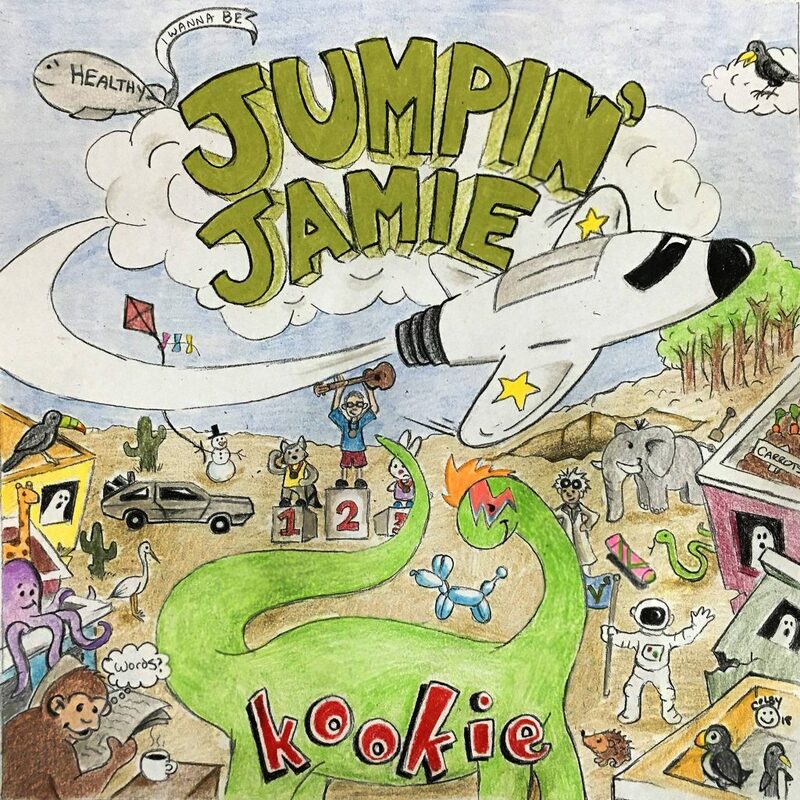 Kookie features 12 original songs heavily influenced by the bands that provided the soundtrack to Jamie’s youth; Green Day, REM, The Beatles, Weezer, Northern Irish band Ash and more. The collection is an honest labor of love from a die-hard music fan. Catchy songs with quick tempos and interesting lyrics are what piqued Jamie’s youthful curiosity and made him a devoted listener in his formative years. Now as a grown-up and a dad, these elements populate his first collection for today’s youth. Some familiar kid friendly themes on the album include astronauts, haunted houses, healthy living, being a good sport, loving our planet and of course dinosaurs. Jamie approaches his subjects with a childlike inquisitive mind and takes them to an energy level that the kids will respond to. “I hope to inspire kids to be compassionate, to think for themselves, and pursue whatever interests they have whether it be an astronaut, paleontologist, ghost hunter, or anything else they could imagine,” Jamie says. The album is backed by 5 different producers including Marty Beller and Danny Weinkauf (They Might Be Giants) and John Naclerio (My Chemical Romance, Senses Fail) and features over 40 special guests. Kookie is available everywhere now. For details on upcoming performances and to learn more, click here. 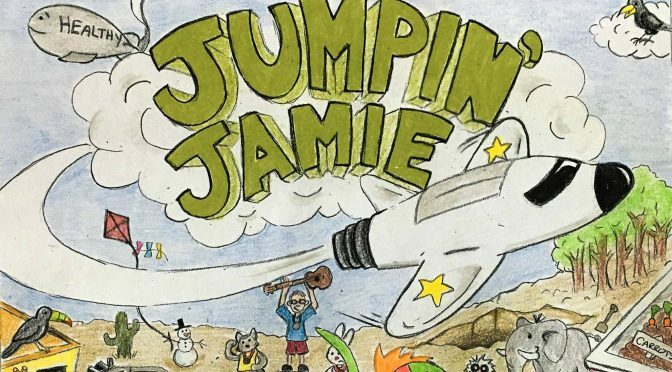 Want to see Jumpin’ Jamie on tour? A tour of NJ libraries presented by New Jersey’s Field Station: Dinosaurs has just been announced. Check out the dates below.